Prototype: German Railroad, Inc. DB AG Bord Restaurant dining car for a class 402 InterCity Express. 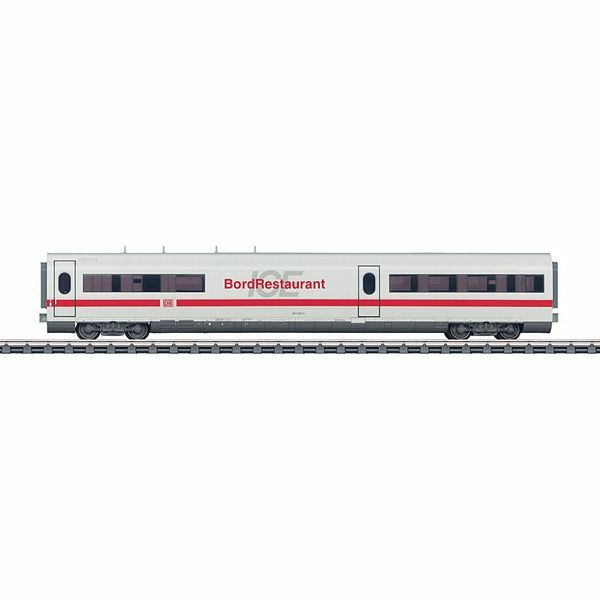 Model: This is an add-on of a Bord Restaurant dining car to the InterCity Express. Contents: 6 no. 24360 straight track. Long sections of straight track to expand the C Track layout to a high-speed route. This extension set goes with the 29792 "ICE 2" starter set.